This Sunday Object Talk at the Allen Memorial Art Museum features Lucy Soth ’22, speaking on Fall of Icarus by Francesco Bertos. 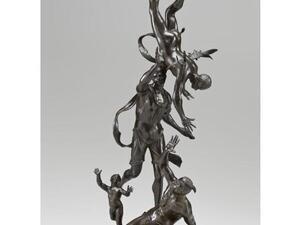 Image: Francesco Bertos (Italian, 1678-1741), Fall of Icarus, early 18th century, Bronze, Mrs. F.F. Prentiss Fund, Friends of Art Endowment Fund and Special Acquisitions Fund, 1971.52.